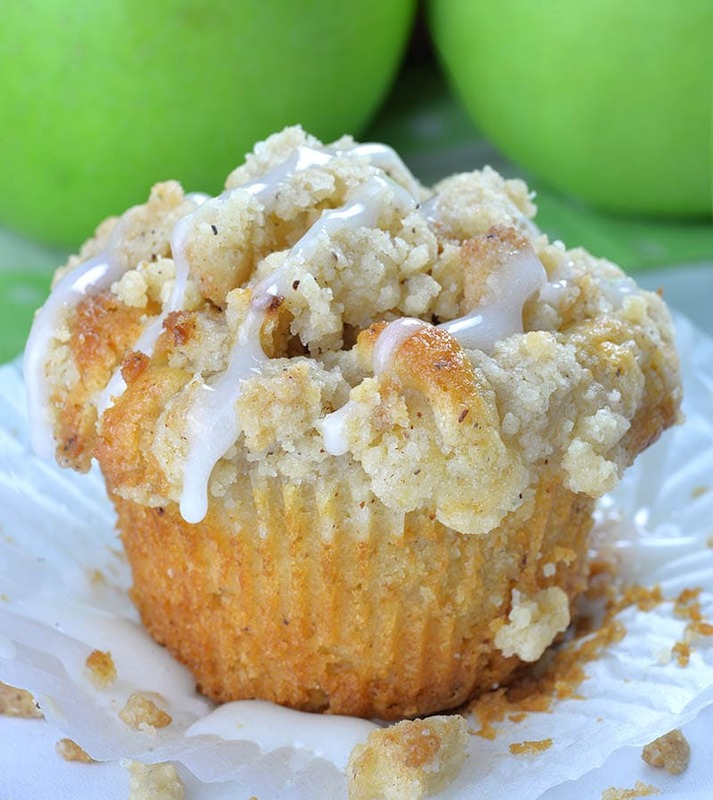 Apple Pie Muffins with Streusel Crumbs are easy and delicious fall dessert, snack or breakfast treat. 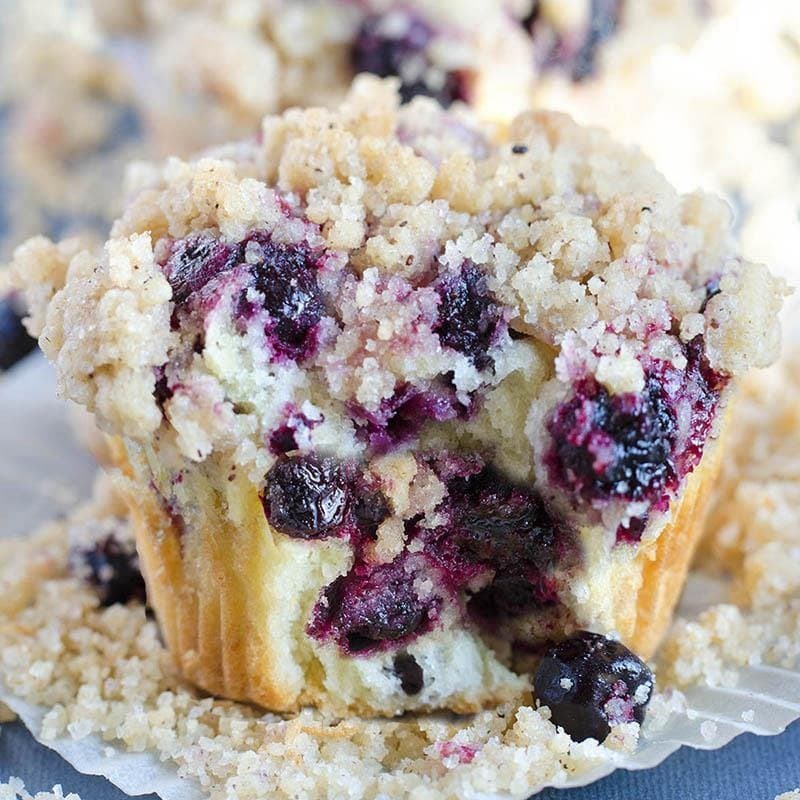 Make a batch of these yummy muffins, loaded with sweet apple pie filling, topped with irresistibly, crumbly cinnamon streusel topping, and you’ll have an easy grab-and-go breakfast on a busy morning. 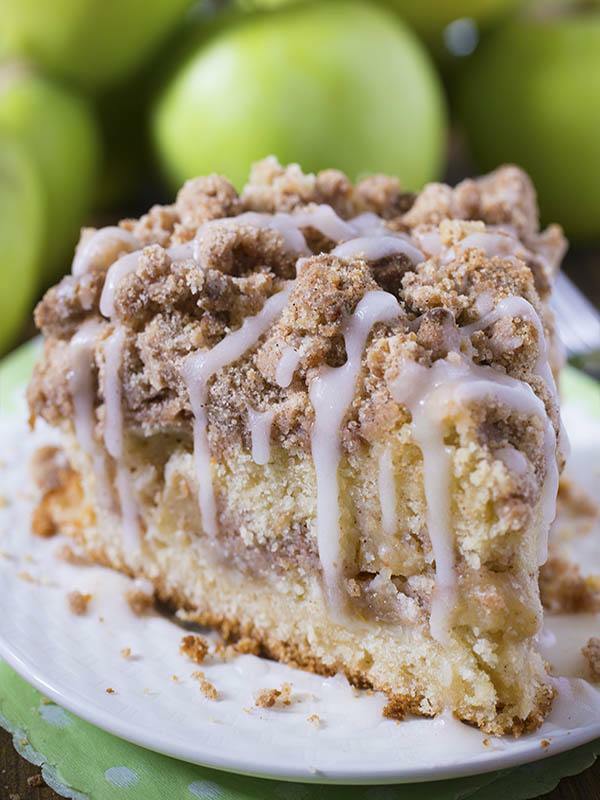 Warm and comforting, cinnamon apple combo is perfect way to start fall baking season. These Apple Pie Muffins with Cinnamon Streusel Crumb Topping smell so good in the oven!!! You can get that fresh-from-the-bakery smell right in your own home! When you try these muffins, you’ll want to bake a batch every day. If you don’t have time for baking on a workday, then treat yourselves for weekend with these delicious Apple Pie Muffins. Your family will love them, too! This is incredibly simple and easy muffin recipe. NO MIXER REQUIRED!!! Yes, you’ll do it everything by hand. To make Apple Pie Muffins , just whisk together eggs, sugar, Greek yogurt, oil and vanilla. Fold wet ingredients mixture into dry ingredients. Don’t over-work the batter. They only need whisking until it is just combined, which helps keep them super soft. Line standard cupcake or muffin pan with paper liners, scoop the mixture in cups, top with diced apples from apple pie filling and generously top with cinnamon streusel. When you place the muffins in the oven, warm smell of cinnamon and apples will swept you of your feet! Just whisk together flour, sugar, brown sugar and cinnamon. Add melted butter and stir until evenly moistened and pea size crumbs form. Chill in the fridge until ready to top the muffins. And the best part?! 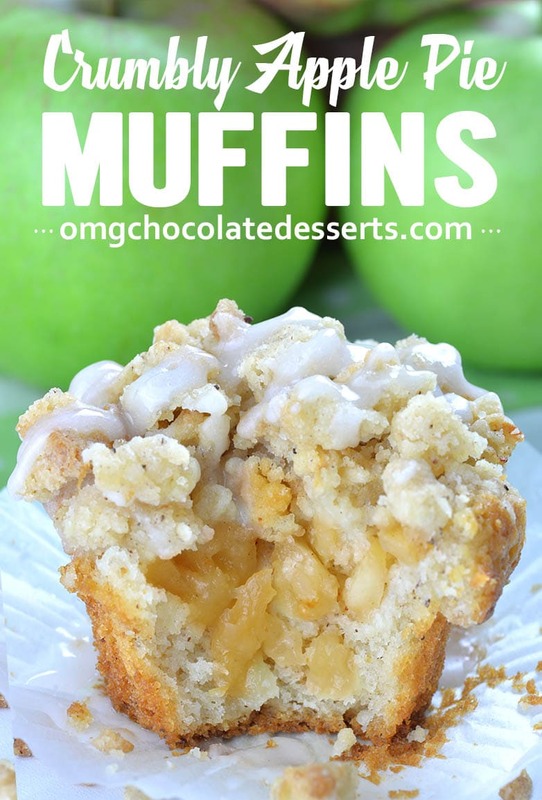 This Apple Pie Muffins recipe can easily be adapted to become any muffin you want it to be. I used this recipe for my Blueberry Muffins, too. 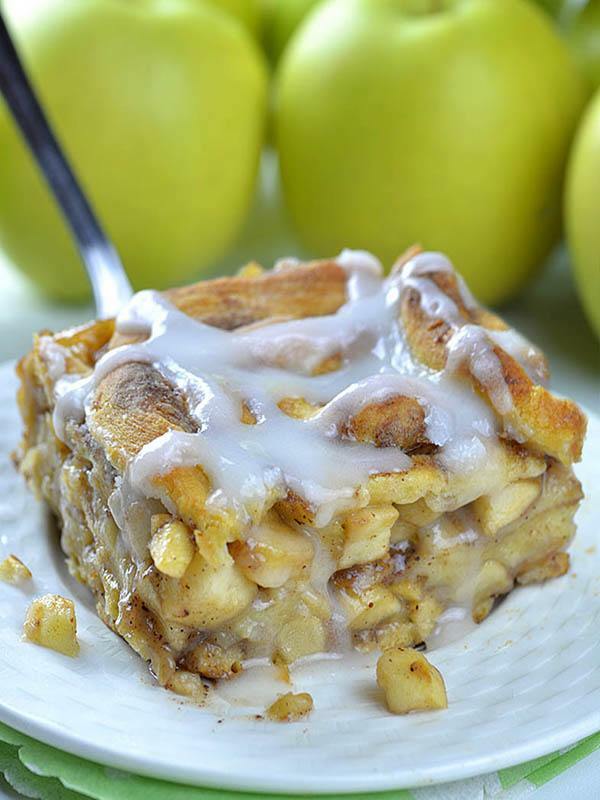 But with my mind set on Fall, these Cinnamon Apple combo is perfect! Apple Pie Muffins with Cinnamon Streusel Crumb Topping are easy and delicious fall dessert, snack or breakfast treat! Preheat the oven to 400 F degrees and line standard muffin pan with paper liners and set aside. To make the crumb topping in a small bowl, whisk together flour, sugar, brown sugar and cinnamon, add melted butter and stir with a fork until crumbly and set in the fridge until ready to use. To make the muffins in a large bowl stir together flour, baking powder, salt, cinnamon and nutmeg, then set aside. Fold wet ingredients into dry ingredients and mix everything together by hand. The batter will be quite thick. Spoon batter into prepared muffin tins, filling less than 2/3 of each cup. Tap the pan onto working surface to set the batter, then add heaping Tablespoon of chopped apples in each cup and gently press the apples into the batter. Top generously with streusel topping. Place them in the oven and reduce the heat to 375F, bake about 19-22 minutes or until the toothpick inserted in the center comes out clean. To make the glaze stir together powdered sugar and milk. If it’s too thin add more powdered sugar, if it’s too thick add more milk. Drizzle over cooled muffins. These are the best muffins I have ever made! My kitchen smells great also. My whole house smells so good! I swapped a few things to make these vegan due to food allergies in the house… Applesauce for the Greek yogurt, aquafaba for eggs, coconut oil for the butter. Kept everything else just as it was and I’m so impressed! Will definitely be making again! Where is the recipe for the apple pie filling?